FORMER Belfast Lord Mayor and distinguished historian Dr Ian Adamson OBE, whose funeral service took place earlier today (Monday) at Conlig Presbyterian Church, was a former pupil of Bangor Grammar School. Born in June 1944 with a home address at The Post Office, Conlig, he attended the School between 1956 and 1963. 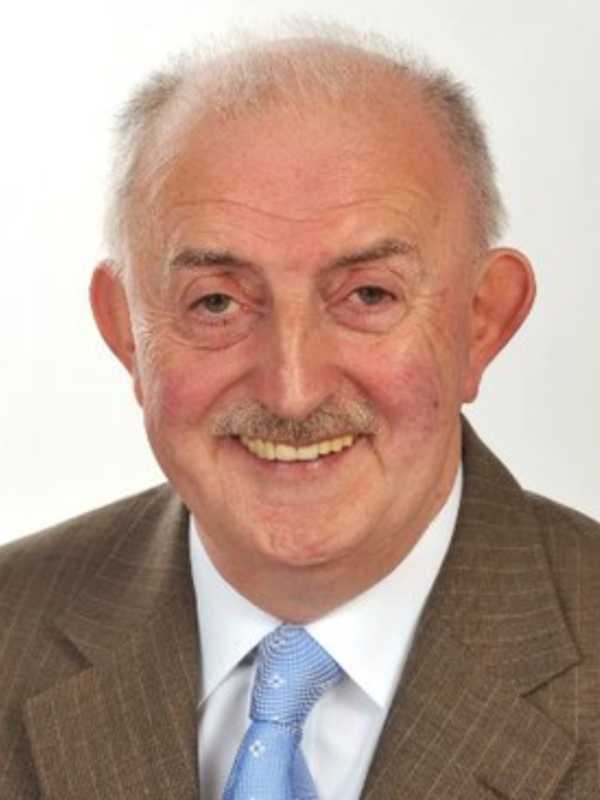 Dr Adamson was an Ulster Unionist member of Belfast City Council from 1989, becoming the Party’s first Honorary Historian, until his retirement from active politics in 2011. He had served as Deputy Lord Mayor in 1994-95 and then Lord Mayor of Belfast in 1996-97 and was awarded the Order of the British Empire by the Queen in 1998 for services to local government. He was an MLA for Belfast East from 1998 until 2003. He was the personal physician and advisor on history and culture to Ian Paisley (First Minister of Northern Ireland 2007–08) from 2004 until the latter’s death in 2014. Outside politics, in 18 July 1978 he was accepted as a Member of the International Medical Association of Lourdes for services to the disabled children and young people of the Falls Parish in Belfast. He has a special interest in the long-term unemployed and became the founder secretary of Farset Youth and Community Development in 1981. In 1989 he became founder chairman of the Somme Association, based at Craigavon House, Circular Road, Belfast, under the auspices of Princess Alice, Duchess of Gloucester, and established the Somme Heritage Centre, now Museum, at Conlig, in 1994. Dr Adamson founded the Ullans Academy, of which he was President at the time of his death, followed by the Ulster-Scots Language Society in 1992 and became the first rector and founder chairman of the Ulster Scots Academy in 1994. He was a founder member of the Cultural Traditions Group, the Northern Ireland Community Relations Council and the Ultach Trust, and served as a member of the Ulster-Scots Agency, 2003-12. He also served as president of the Belfast Civic Trust. Dr Adamson was a Specialist in Community Child Health (Community Paediatrics), being a member of the Faculty of Community Health and was awarded the fellowship of the Royal Institute of Public Health for his services to the health of young people in 1998. He was awarded a special commendation by the Prince of Wales. He was an Executive Board Member of the London-based Association of Port Health Authorities, 2005–11 (chairman of the Border Inspection Post Committee, 2005–06, and Imported Food Committee, 2006–11). He was a member of the boards of many other local public sector and voluntary civic organisations. During the funeral service Dr Adamson’s good friend Van Morrison sang ‘Into The Mystic’, a particular favourite of the late academic, to the hushed congregation. President of Ireland Michael D Higgins was also present, while Dr Adamson’s coffin was carried by ex-Formula One racing star Eddie Irvine (Dr Adamson had financed his first race). Bangor Grammarians extend sincere sympathy to Dr Adamson’s widow Kerry and the wider family circle.